In Buddhism, there is a practice of meditation before bed. Everyone can take advantage of simple advice and bring more harmony, health and tranquility into their lives through meditation before going to bed. There are two types of meditation before bed, such as “A dream in the midst of silence” and “Sleep in the midst of unrest”. In other words, these two types can be called a calm meditation before bed and active meditation before bed. 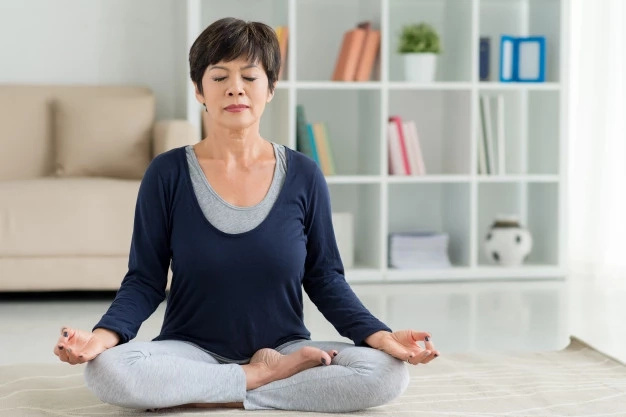 Calm meditation before going to bed refers to traditional meditation in standing, sitting, reclining or lying, but may include any internal meditative practice during which the body remains motionless. 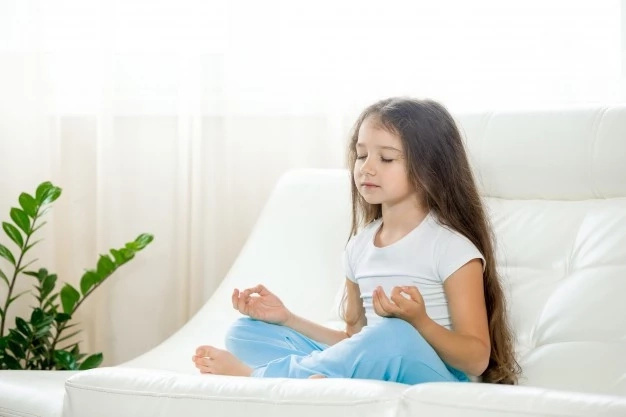 Active meditation before going to sleep refers to the practice of meditation in motion, in everyday life, or more precisely – in the “rituals” that every person commits before going to bed. Both calm and active meditations before bedtime are considered advanced and very useful, as they enable you to practice without having a special place or time. So why not use some time before bedtime to raise your own level of awareness? Traditionally, in Buddhist monasteries, monks are taught to meditate lying down every night before falling asleep. They confirm the fact that there is no way better than meditation before going to bed to properly enter sleep mode, to relax as much as possible and, most importantly, to rest and recover as much as possible. A conscious entrance to a state of complete physical relaxation, free from excess muscular tension and deep diaphragmatic breathing provides a person with a strong, calm and pleasant sleep. The next morning after performing the meditation before going to bed you will wake up physically and emotionally filled and your mood will definitely be higher than yesterday. Doing meditation before going to sleep in prone position is especially useful for those people who feel depressed, emotionally stricken and deprived of energy and strength due to some complicated events in life. Correct lying in meditation before going to bed: the position of the body during meditation before bedtime. In yoga, there is such an asana as “shavasana”, it seems the most natural and effective way to meditate before going to sleep. #1. If possible, especially when you are in a state of depression, try to find a wide surface, much longer and wider than your own body. This will provide you with a feeling, as if you are lying on the ocean shore, giving all your human weaknesses to the world. #2. If you are on a bed, mattress, bedding or something similar, lie on your back so that your spine becomes a straight line parallel to the sides of the bed or bedding. Imagine that your spine is a chain that was specially laid on the floor and began to pull in both directions to straighten the iron rings. #3. Do not press your feet. Arrange them a little apart from each other, at a distance of about 20 cm between the heels. #4. The same goes for the hands. Do not press them against the body and do not put on your stomach. They should be free to lie at a distance 10 cm from the body, palms up. #5. Make sure that the left and right sides of your body are perfectly symmetrical and balanced, whatever that means to you personally. #6. At the beginning of meditation before going to sleep, keep your eyes open and direct your eyes straight up, but do not focus on any object or on the ceiling. Divide your mind and go deep into your mind. It will not be difficult if you fall asleep in the evening and it’s dark in the room. After a while, you will feel the moment when you need to close your eyes and go to sleep. #7. If you have difficulties with the correct position of the limbs in the posture of lying down while meditating before going to bed, just tense the muscles alternately, strongly and abruptly, and then during relaxation, in 10-20 seconds, they will take the most natural position themselves. #8. Before completely relaxing the body during meditation before going to sleep, make several “deflections” with the loin upwards with the maximum amplitude. When performing these movements, keep the gluteal muscles in tone. Then slightly lift the even legs, stay in this position for as long as you can. Squeeze your fists and lift your arms, squeezing all the muscles with all your might. Hold on as long as possible, then relax your hands. Do the same with the neck: lift the head and hold it in this position as long as possible. #9. 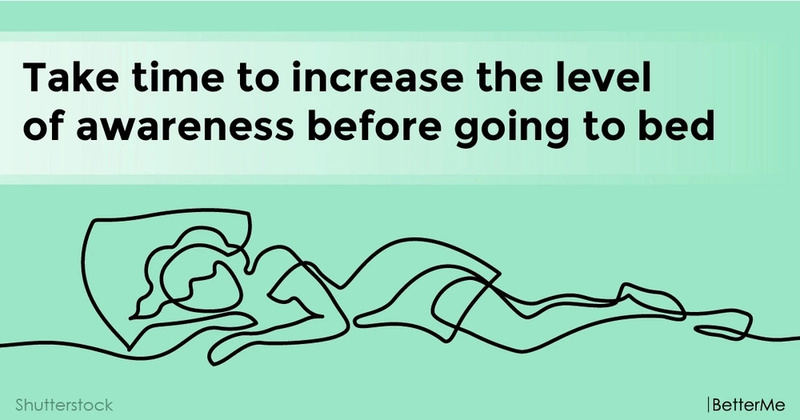 If after these tips you feel that your body is ready for complete relaxation and meditation before going to bed, proceed. Meditation before sleep is useful for physical recovery. The lying posture is ideal for those who are sick and bedridden. Instead of lying and having bad thoughts, you can use your free time with benefit, giving practice of meditation before bedtime only 20-30 minutes a day. Do not make sharp physical movements if you find it difficult. And remember that physical movements are necessary to prepare the mind for meditation.